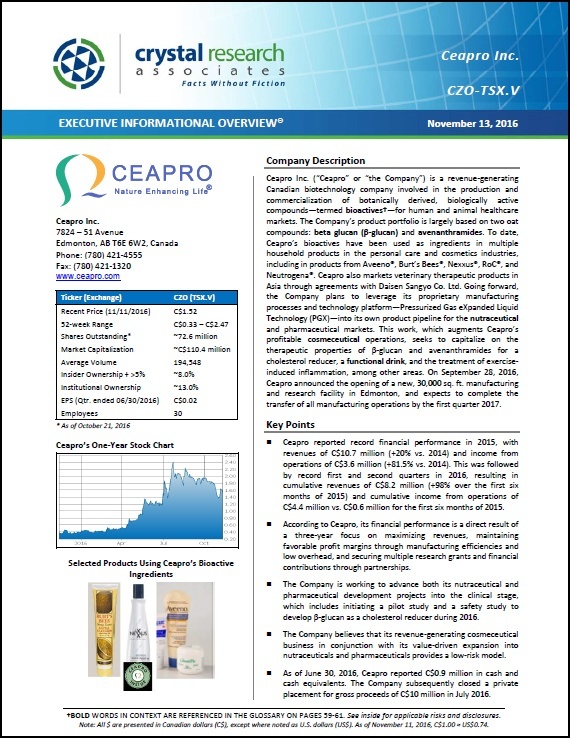 An Executive Informational Overview (EIO) is now available on pharmaceutical company, Avivagen Inc. (VIV-TSX.V). 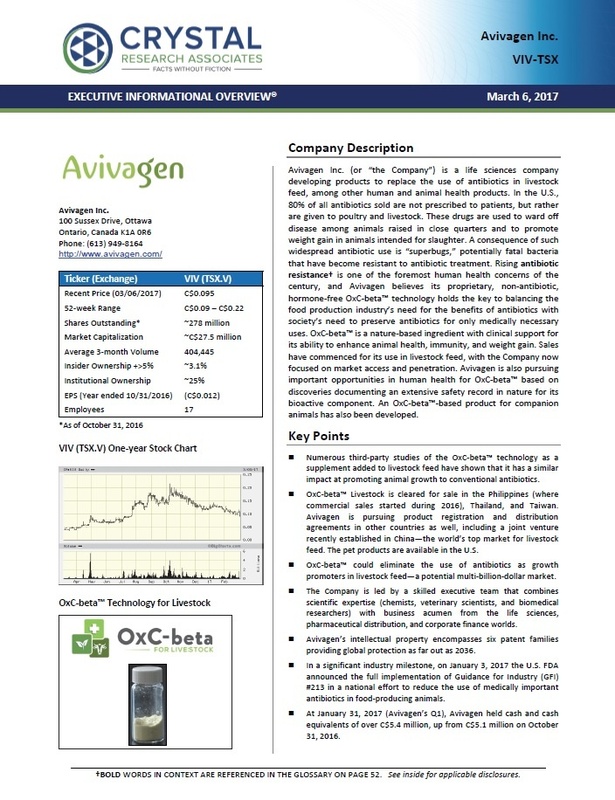 The EIO is a 56-page report detailing Avivagen's business, product development, strategic relationships, market opportunities, competition, financials, risks, and more. It is available for download below. 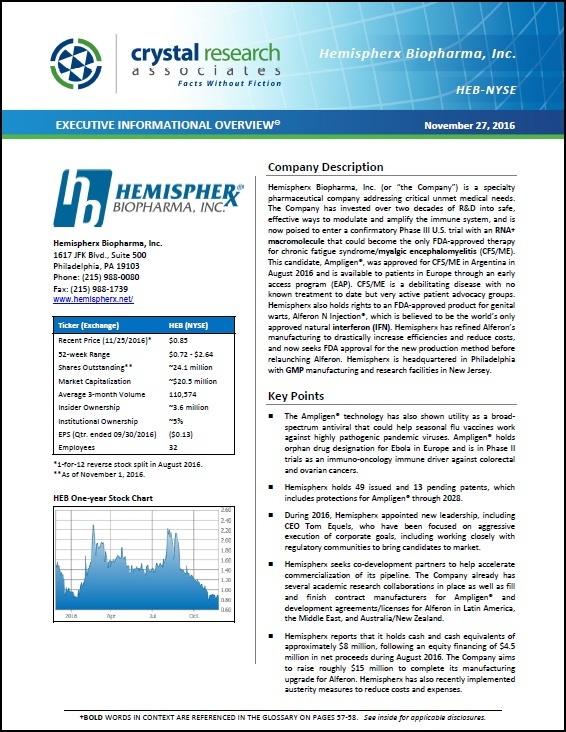 An Executive Informational Overview (EIO) is now available on specialty pharmaceutical company, Hemispherx Biopharma, Inc. (HEB-NYSE). 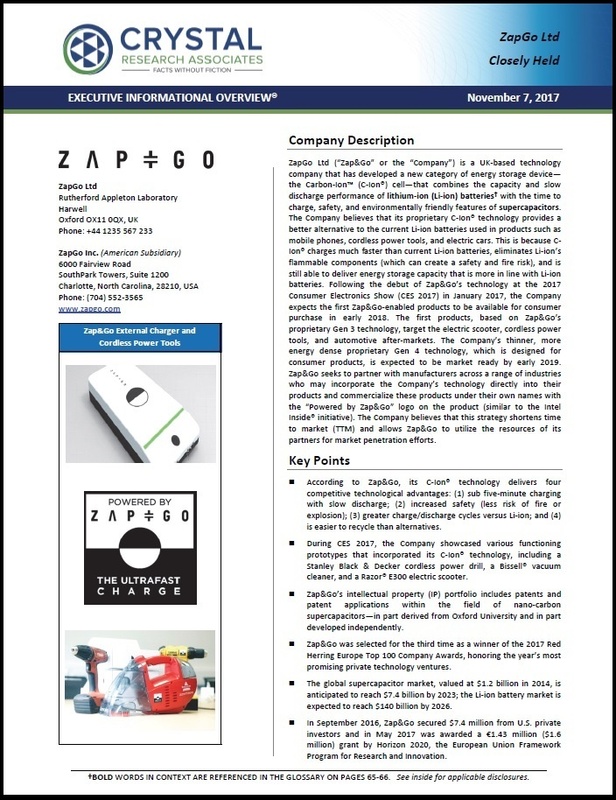 The EIO is a 60-page report detailing Hemispherx's business, product development, strategic relationships, market opportunities, competition, financials, risks, and more. It is available for download below. 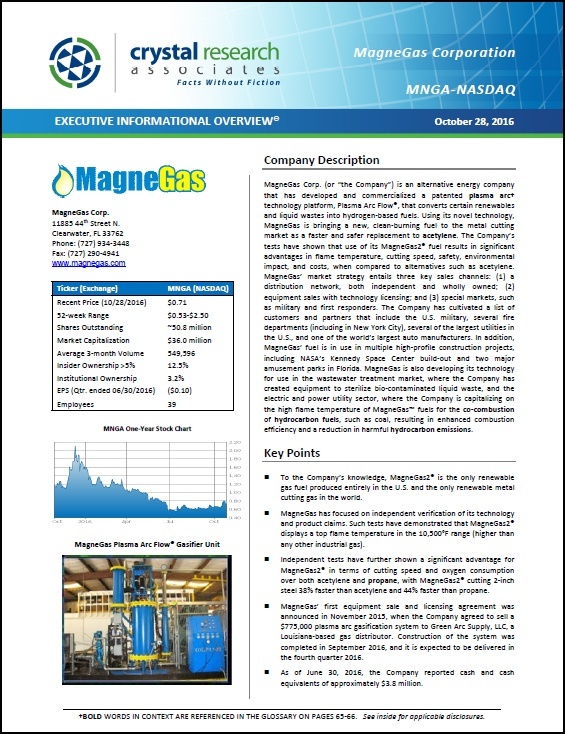 An Executive Informational Overview (EIO) is now available on an alternative energy company, MagneGas Corp. (MNGA-NASDAQ). 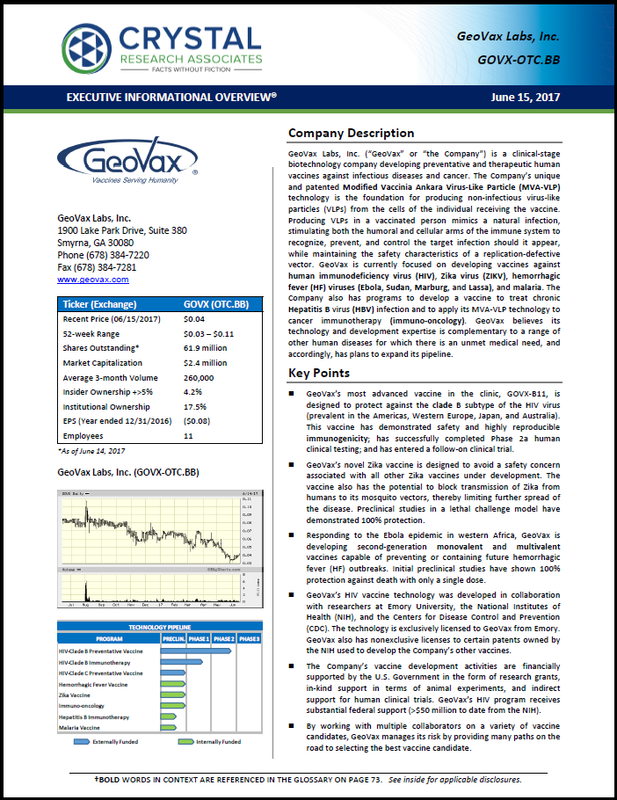 The EIO is a 68-page report detailing MagneGas' business strategy, products, market opportunities, competition, financials, risks, and more. It is available for download below. 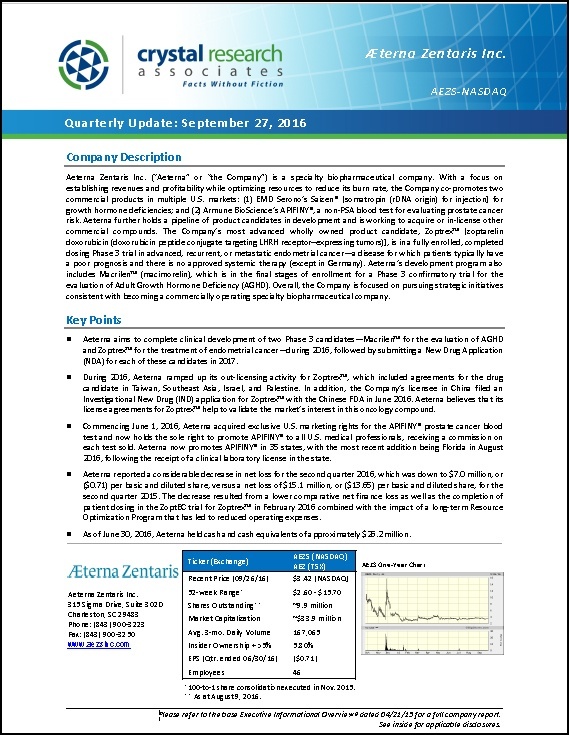 Crystal Research Associates has released a 16-page Quarterly Update on specialty biopharmaceutical company, Aeterna Zentaris Inc. (AEZS-NASDAQ; AEZ-TSX). 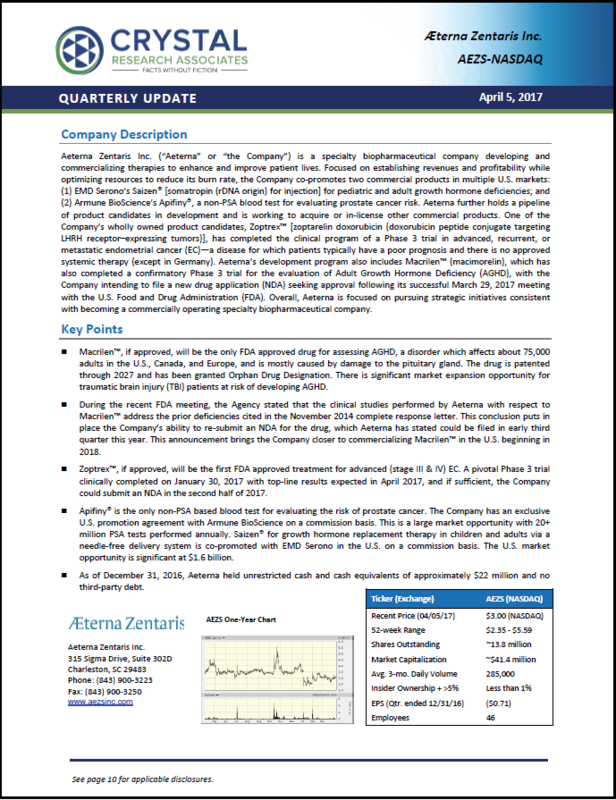 The Update specifically details Aeterna's recent news and developments, recent and anticipated clinical trial and regulatory filing milestones, and financial position.